A spooky Greetings from Minneapolis….wish you were here! Photo taken at our house in Southwest Minneapolis. There is something grand about Halloween. It is such a strange custom if not even a holiday in some sorts. Along with the dressing up in Halloween costumes, the trick or treating for candy and sugar goods, there is the good old fashioned fun of decorating your house! 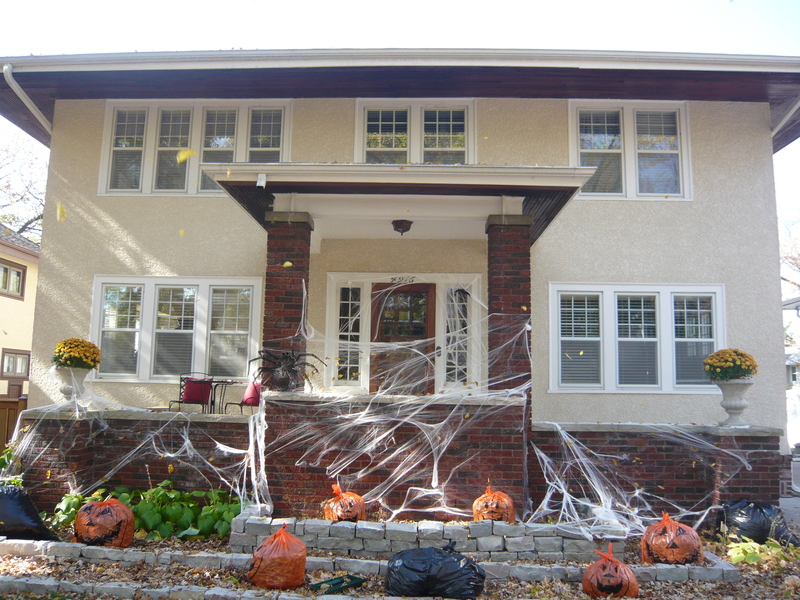 Our block loves to decorate with grave stones, skeletons, spider webs and other scary things. My kids and I enjoyed decorating our house last night in the balmy record setting 80 degrees….unheard of in Minnesota in October. I’m sure we will get pay back in November. Snow is on the way!